Wiill it be HD and awesome too? Phonesoap 3 review: a cleansing cocoon for your smartphone? Nokia 5.1 blow-by-blow review: should this be your next phone? 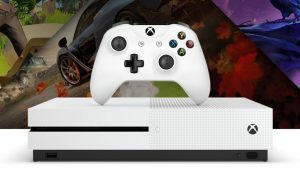 Images leaked by WinFuture this weekend seem to have confirmed that Microsoft is indeed planning to release a disc-free Xbox One console this year…. Forza Horizon 3 review: a tour de Forza?